Butterscotch Cookies are an old fashioned oatmeal cookie recipe that never lasts long in my house. Toss in a handful or two of chocolate chips for a treat that will thrill both the chocolate and butterscotch lovers in your house. 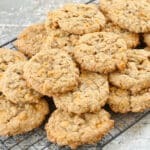 Oatmeal Butterscotch Cookies that stay soft and chewy for days are an instant favorite with everyone who tastes them. 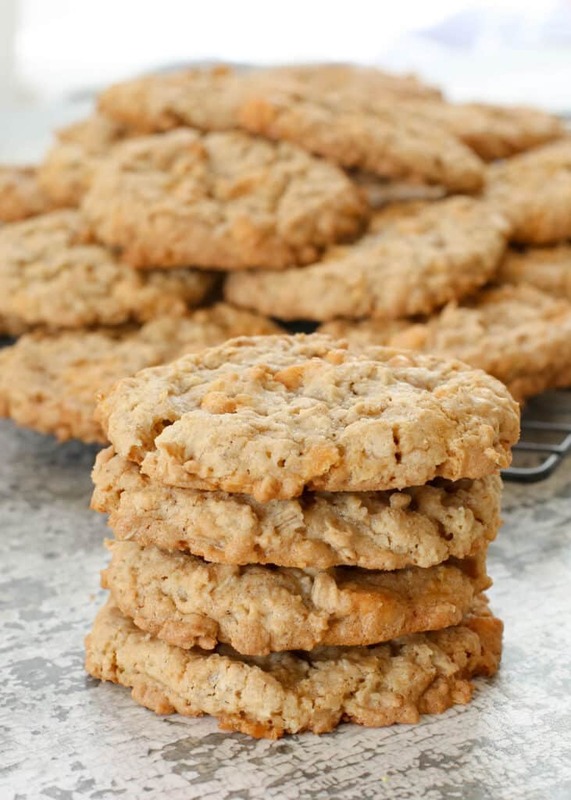 Soft, chewy oatmeal cookies and butterscotch chips are a perfect match. After several requests for this recipe, I am finally posting it. If you are a family member and you’ve been waiting ever since our summer camping trip, well, what can I say? Sometimes, I get distracted by chocolate, chocolate, and more chocolate! 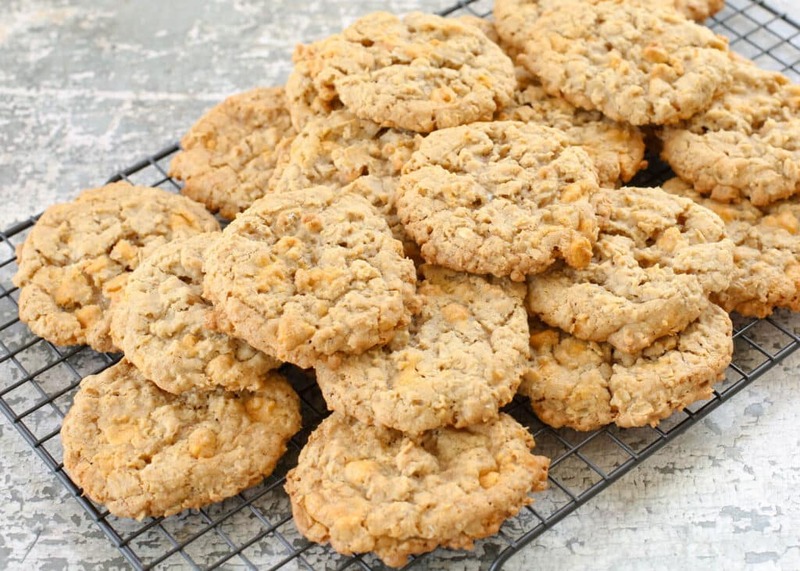 Chewy oatmeal and butterscotch chips are always a delicious combination in a cookie. (I have since discovered that these cookies are also called Oatmeal Scotchies. Cute name, right?) I have made these cookies numerous times in the past and they are always a hit. This time, I made these cookies with 100% fresh whole wheat and I didn’t notice even a slight difference in the taste or texture. I’ve noticed that whole wheat combined with oatmeal is a great combination when converting my recipes over to 100% whole wheat instead of AP (all-purpose) flour. If you’re looking for a great gluten-free oatmeal cookie, try these Soft and Chewy Oatmeal Cookies, swap the chocolate for butterscotch chips and you just might have a new favorite. These Soft Chocolate Chip Cookies are perfect for the chocolate lover and I’m betting that you won’t be able to eat just one or two. For more great oatmeal desserts, check out these Healthy Strawberry Oatmeal Bars, Chocolate Chip Oatmeal Carmelitas, No-Bake Chocolate Peanut Butter Coconut Bites, and Cranberry Oatmeal Yogurt Bars. Kitchen Tip: I use this baking sheet, this scoop, and these cooling racks to make this recipe. In a separate bowl, whisk together all of the dry ingredients except the butterscotch chips. Gradually add this mixture to the wet ingredients, half at a time. Stir until fully combined. Add the butterscotch chips and stir well. I used a medium size cookie scoop (about a tablespoon in size) to drop the dough onto a large baking sheet lined with a silpat mat. Bake for 8-9 minutes. Remove from the oven before the cookies are browned and when they still look soft in the center. Let them cool on the same tray for 5-10 minutes; this will allow them to finish baking without overcooking. When the cookies are firm enough to handle, transfer them to a wire cooling rack and let cool completely. The finished cookies freeze well and the dough also freezes well. When I am baking the cookie dough straight from the freezer, I allow a few extra minutes for the baking. 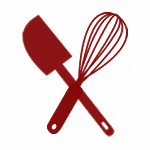 If you are using whole wheat flour, increase the total amount of flour to 1 1/2 cups. Can these be frozen? The cookies, not the dough. delicious, and so perfectly chewy!!! These sound absolutely delicious! I want to make them right now, however, I'm a little short of butter. Could I use 1/2 C butter & 1/4 C Crisco? I think that would probably work fine, however I haven't tested it that way myself. These were easy for my Grandaughter age 9 and they were awesome!! I made these cookies tonight and they’re delicious. My batch made about 4 dozen cookies. Oatmeal can be too plain, but with the butterscotch, it really kicks the cookies up a notch. I'm so glad you like the recipe, Sophie!